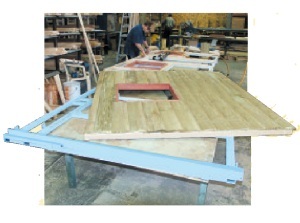 Our constant commitment to a higher standard of quality and safety is easily recognisable when you look at the good building practice used in our construction methods. 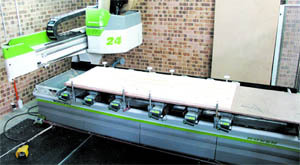 We have the latest computerised cutting equipment to ensure that all the timbers are exactly the same size and the most modern computerised routing machinery which produces parts with precision location points for easy assembly of the product. Our commitment to modern technology has allowed us to be more than competitive in this important market. Children should always be supervised while at play and the safety of our finished product is always foremost in our mind because we appreciate that your children are important and we want you to know they are always safe while playing in one of our cubby houses. There is no safer place for your children to play than in the safety of their own backyard.